The permanent struggle for optimisation can be seen as one of the most significant cultural principles of contemporary Western societies: the demand for improved performance and efficiency as well as the pursuit of self-improvement are con-sidered necessary in order to keep pace with an accelerated, competitive modern-ity. This affects not only work and education, but also family life, parent–child relationships and intimate relationships in respect to the body and the self, in regard to the public as well as the private realm. 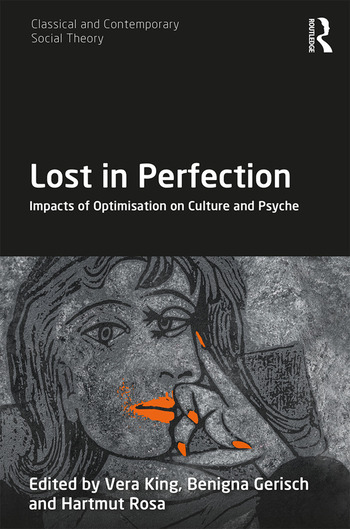 Bringing together contributions from renowned scholars from the fields of sociology, psychology and psycho-analysis, this book explores the impacts of optimisation on culture and psyche, examining the contradictions and limitations of optimisation, in conjunction with the effects of social transformations on individuals and shifts in regard to the meaning of ‘pathology’ and ‘normality’. Vera King is Professor of Sociology and Social Psychology at Goethe University and Managing Director of the Sigmund Freud Institute, Frankfurt a.M., Germany. Benigna Gerisch is Professor of Clinical Psychology, Psychoanalysis, Intervention and Psychodynamic Counselling at International Psychoanalytic University, Berlin, Germany. She trained as a psychoanalyst and is a member of the International Psychoanalytic Association (IPA). Hartmut Rosa is Professor of Sociology at Jena University and Director of the Max-Weber-Center, Germany. He is the author of Social Acceleration: A New Theory of Modernity.